The LA Times asked state corrections officials for a Charile Manson mug shot. On Wednesday they got one. 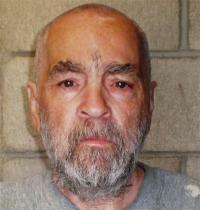 It shows a heavier, balder, still bushy-eybrowed convicted mass murder on his last legs. Here’s the shot and a story.